I love being a music therapist for children with special needs. One of the main reasons is that I have the opportunity to create fun, educationally relevant songs and interventions. The administrators and teachers at UCP love that I am able to support the curriculum by creating songs that target specific academic concepts and are catchy and easy to memorize. I’ve written songs on everything from rhyming words to addition to the life cycle of a butterfly. 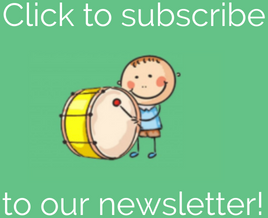 Check out my collection of Songs for Kids here (sheet music & mp3s are available!) 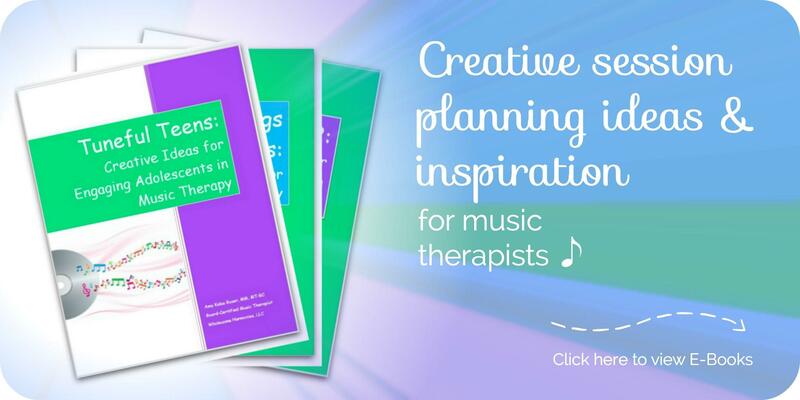 AND our entire E-Book collection here, which has tons of session planning inspiration for you. The majority of my songs and interventions are original, but I also rely on a couple of resources to help me out when it comes to generating new ideas. Today I’d like to share a few of those resources with you. Songs for Teaching is one of my favorite websites! Songs are divided into a number of different categories such as: Mathematics, Science, Social Studies, Life Skills, etc. When you click on a song, you are provided with the lyrics and a sound clip of the song. That’s enough to get you started! 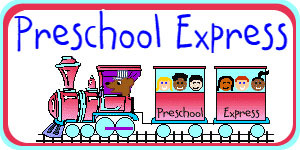 Preschool Express offers a variety of creative ideas categorized into different “stations.” My most frequent visits are to the Alphabet Station, the Number Station, and of course the Music and Rhyme Station. These sites will provide plenty of inspiration as you plan for your sessions and classes with children. If you want even more creative ideas, come on over and check out our E-Book collection. Sensational Songs & Activities has ideas for working with children with autism and other sensory learners. Tuneful Teens and the Rap Pack for Teens have ideas for working with adolescents. I know you’ll be inspired creatively, so be sure to check them out!